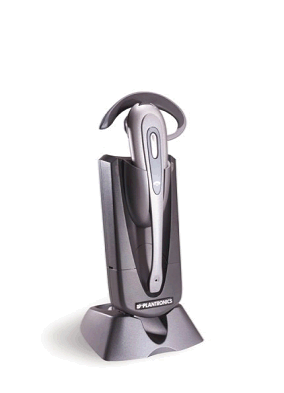 The CA40 is a DECT cordless headset system with a range of up to 50m combining excellent sound quality, auto-configuration settings and selectable range mode. CA40 incorporates a lightweight remote pack, a 7-position tone control for easy listening and a choice of power modes making CA40 uniquely adaptable to your working environment. The DECT adapter allows quick and easy switching between headset and handset, and has a 12-hour talk-time designed to last the whole working day. CA40 can be used with all current Plantronics headsets as well as the new version of DuoSet featuring an in-use indicator on its boom. DECT technology#User selectable range mode (standard and high power mode). 3hr battery recharge cycle and second battery bay. 7 different receive tone settings (treble/bass). Small and discrete remote pack. Compatible with H-series headsets (EMC2001 compliant). Compatible with DuoSet with Firefly headset - boom mounted in-use indic HL10 lifter compatible. FireFly is a mounted in-use indicator on the DuoSet and is designed to work with the CA40. The stylish CS60/A wireless headset system gives excellent sound quality and hands free wireless freedom up to 100m from your desk (typical office up to 50m). The lightweight and stylish headset can be converted into 3 styles: over the ear, headband and our unique behind the neck design. CS60/A has a talk time of up to 9 hours and you can even take calls when you are away from your desk using our optional handset lifter. The IntelliStand™ feature senses when the headset has been removed from the base automatically lifting the handset and directing your call into the headset. Fully convertible with 3 wearing styles -Unique behind the neck style; Ear-loop style; Over-the-head style. Up to 100m range - up to 50m in a typical office. Up to 9 hrs talk time. IntelliStand senses when the headset is removed or replaced in the base unit to automatically pick-up or end a call (requires HL10 lifter). The CS60-USB is a totally wireless and stylish DECT headset system giving excellent sound quality and hands free wireless freedom up to 100m from your desk (typical office up to 50m). 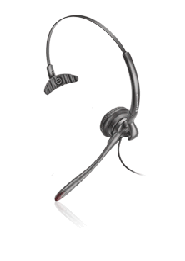 hands-free headset convenience for most VoIP softphone telephony applications. The stylish C65/A is a wireless headset designed to be registered to GAP* compatible DECT™ bases or wireless PBXs, which is supplied with a fast desk charger and headset holder. Once registered, the C65 becomes an independent additional extension to the DECT base or wireless PBX, but with no dial pad. The C65 is the perfect solution to workers that require a hands free wireless communication device that provides crystal clear sound communications with up to 9 hours conversation time, featuring a noise-cancelling microphone that reduces background noise. The headset can be configured and used with 3 stylish wearing options. The extremely stylish CS70 lets you use talk on the phone whilst up to 50m from your desk, but is so discreet and comfortable you may forget you are wearing it. With a clear voice tube microphone, it weighs just 22g but provides 5 hours talk-time. With the HL10 lifter or an electronic hook switch module, you can answer incoming calls when away from your telephone, helping to avoid calls unnecessarily going to voicemail. DECT audio technology ensures excellent audio quality and is compatible with most popular business telephones. Up to 5 hrs talk time, 28hrs standby time with fast recharge. *- requires HL10 or electronic hookswitch control. Wireless headset from Plantronics means you can simultaneously write or type notes, access papers, or even just relax and enjoy your coffee, whilst talking business. Extremely comfortable for all-day wearing. Binaural noise-cancelling version for noisier Environments. 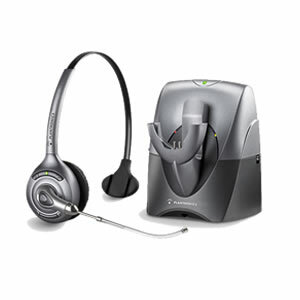 Quick pair feature allows multiple headsets to share one base for effective hot-desking or multi-shift working. DECT™ technology for excellent sound quality. 100-metres' range - up to 50-metres in a typical office. Up to 9 hours' talk-time, 50 hours' standby time, with fast recharge. Dedicated headset volume and mute control, including on-mute indicator. Quick call feature for short-call convenience.